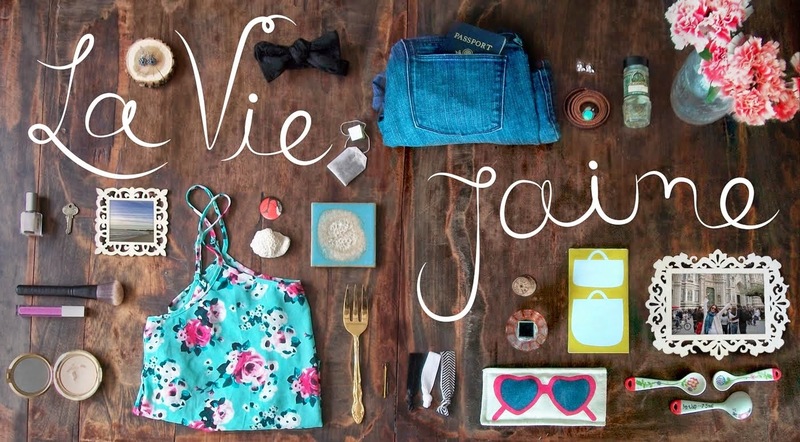 When Jaime asked me to do a guest post on her blog while she was on vacation in Florida I was very excited! Jaime and I had ordered these Cuisinart hand blenders from Open Sky and I knew I wanted to use mine for this post. 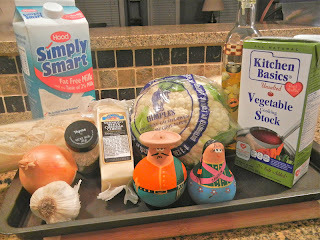 The recipe I had in mind was Roasted Cauliflower and Aged White Cheddar Soup from Closet Cooking. 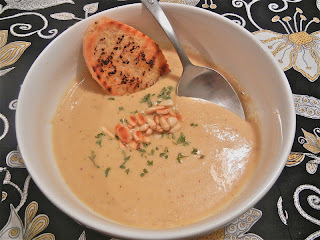 So here is my version of Roasted Cauliflower and Aged White Cheddar Soup. I hope you enjoy it! 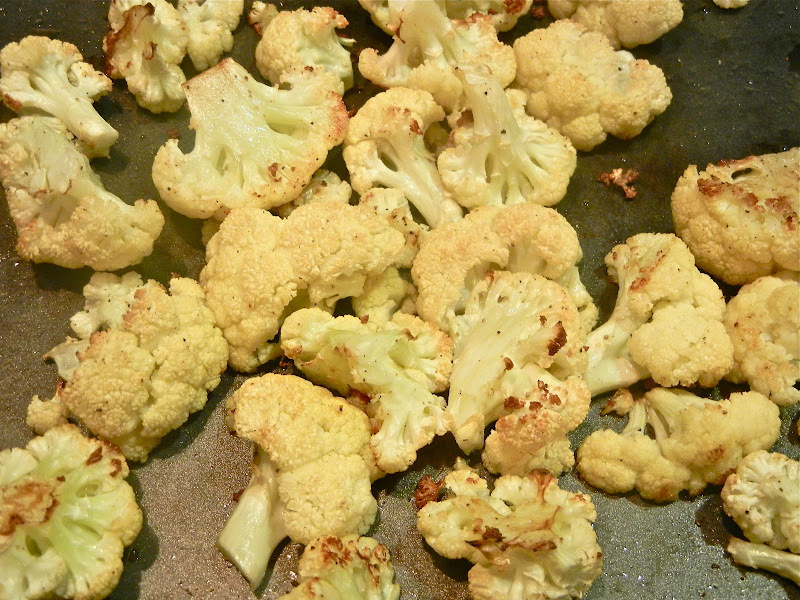 Cut the cauliflower into florets and coat with 2 or 3 tablespoons of olive oil, salt and pepper. Roast at 400 F for 20 to 30 minutes (or until the cauliflower starts to brown). Dice the onion. Heat 1 tablespoon of olive oil in a large pot. Saute the onion for 5 minutes or until it becomes translucent. Add the minced garlic and the thyme and saute for another minute. Add the vegetable broth and roasted cauliflower. Bring to a boil. Cover and reduce the heat to low. Let simmer for 20 minutes. Take your hand blender (or put mixture in the food processor or blender) and puree the mixture until it is the consistency you like. Mix in the shredded cheddar cheese. Stir until melted. Season with salt and pepper. Remove soup from the heat and add in the milk. I served mine with a garlic crostini and toasted pine nuts. It was delish! Thanks, Emily! Check out her blog Simply Gourmet in Southie. yummy!!! i can't believe that came out so well. it looks professionally made. thanks for sharing. great job guess blogging !! This post definitely had me at white cheddar! Yum! YUM! I love cauliflower! It's so tasty! I will definitely be making this! That looks really good! 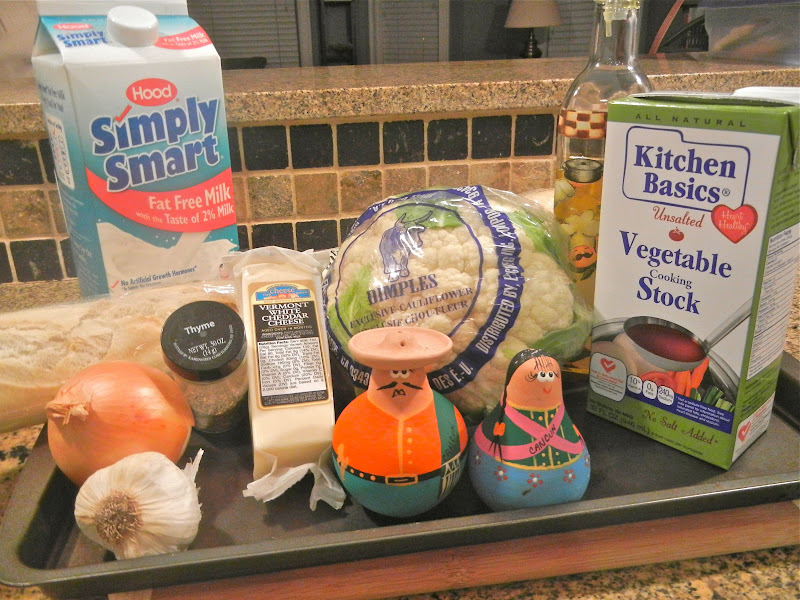 I've had cauliflower soup before but never made it. I'll have to try it! i could really use a hot bowl of soup right now! 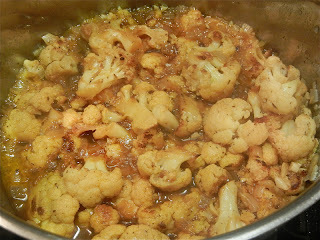 mmm I don't like cauliflower, but this looks really good!